A Brief Harley-Davidson History: the first 100 years. 1901-1903: A 10' x 15' shed in the Davidson familys Milwaukee backyard serves as the birthplace to an American icon. Arthur Davidson, 20, and William Harley, 21, began experiments on "taking the work out of bicycling." Now if you doubt that bicycling was any work, try and remember what people were riding 100 years ago and you soon get the picture. In all honesty, they were mechanics and inventors who came upon the idea to motorize a bike rather easily. At that time in history there was a new invention called the horseless carriage so it was a logical progression to come up with the idea to fit a smaller combustion engine to a bicycle. Soon after, the duo were joined by Arthur's two brothers Walter and William. In two years they produced 3 motorcycles and the Harley Davidson Motorcycle Co. was born. 1906: A new factory, measuring 28 x 80 feet, is built on the Chestnut St. site, later renamed Juneau Avenue. Staff size is increased to six full-time employees. Also, the first motorcycle catalogue is produced by the Company and the nickname "Silent Gray Fellow" is used for the first time. 1907: William A. Davidson, brother to Arthur and Walter Davidson, quits his job as tool foreman for the Milwaukee Road railroad and joins the Motor Company. 1909: Harley-Davidson Motor Company is incorporated on September 17th. The stock is split four ways between the four founders, and staff size has more than doubled from the previous year to eighteen employees. Factory size is doubled as well. Dealer recruitment begins, targeting the New England region. 1910: The famed "Bar & Shield" logo is used for the first time. It is trademarked at the U.S. Patent office one year later. 1911: The "F-head" engine becomes a workhorse of the Harley-Davidson motorcycle until 1929. 1915-1918: One-third of all Harley-Davidson motorcycles produced are sold to the U.S. military. The Quartermasters School, a department of Harley-Davidson devoted to training military mechanics on Harley-Davidson motorcycles, opens for business in July. It will later become the Service School. The sale of Harley-Davidson bicycles begins. Individual components are made by the Davis Sewing Machine Co. of Dayton, Ohio. The bicycles are sold through the H-D dealer network. Almost half of all Harley-Davidson motorcycles produced are sold for use by the U.S. military in World War I. At War's end, it is estimated that the Army used some 20,000 motorcycles in their efforts, most of which were Harley-Davidsons. One day after the signing of the Armistice, Corporal Roy Holtz of Chippewa Falls, Wis., is the first American to enter Germany. He is riding a Harley-Davidson. 1919: The 37 cubic inch opposed twin cylinder Sport model is introduced and gains great popularity overseas. Unique not only for the cylinder configuration, which was directly opposed and flat, the Sport quickly earns a reputation for being uncommonly quiet. By 1920, Harley-Davidson is the largest motorcycle manufacturer in the world. New Harley-Davidson® motorcycles can be purchased from over 2,000 dealers in 67 countries worldwide. 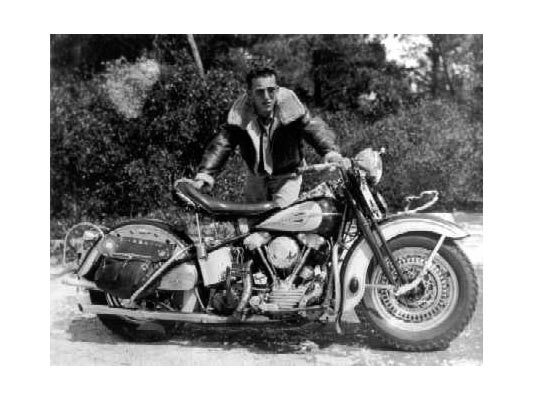 Leslie "Red" Parkhurst breaks 23 speed records on a Harley-Davidson 61 cubic inch racing motorcycle. 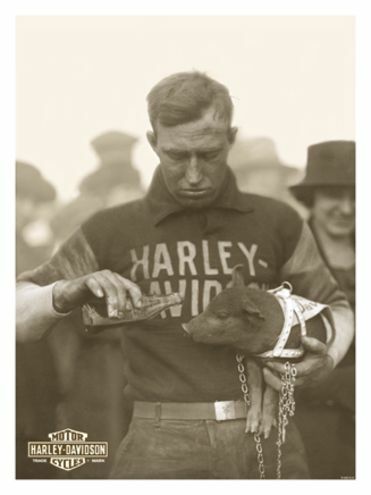 Also, the "hog" association starts when the racing team's mascot, a pig, is carried on a victory lap after each race won by the team. 1920: The first 74 cubic inch V-twin engine is introduced on the JD and FD models. Harley-Davidson dealerships are now found in sixty-seven countries. 1921: Gas tanks on all models now have a distinct teardrop shape. This basic appearance is set for all subsequent Harley-Davidson motorcycles. 1929-1933: After the stock market crash of October 1929, Harley-Davidson sales suffered with everyone else's in the industry. By 1933, production in Milwaukee had dropped to 3,700 motorcycles. Only two motorcycle manufacturers survived the depression, Harley Davidson and Indian. They survived because of strong dealer networks, police and military use, conservative management, and steady exports. The Harley was becoming truly world class. 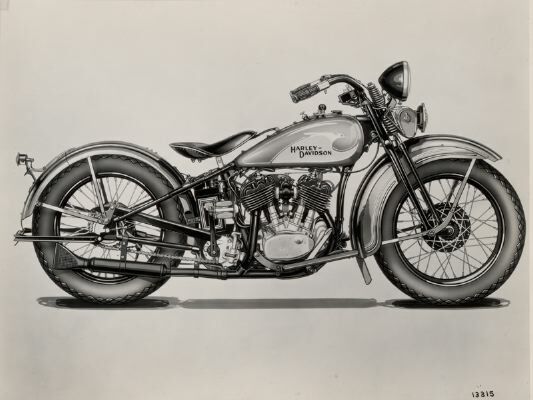 1935: The Japanese motorcycle industry is founded as a result of Harley-Davidson licensing blueprints, tools, dies and machinery to the Sankyo Company of Japan. The result is the Rikuo motorcycle. 1936: Harley-Davidson wasted no time building momentum out of the depression, introducing its EL model, featuring the 61 cu in. 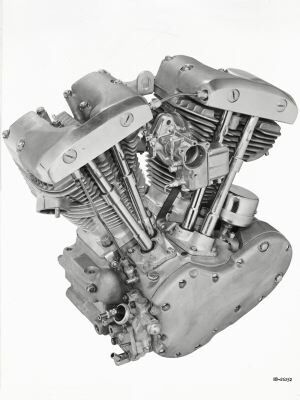 overhead valve engine, also known as the "Knucklehead." 1936 production: 9,812 motorcycles. 1941-1945: Almost immediately after the Japanese attacked Pearl Harbor, Harley-Davidson's entire motorcycle output was produced for Allied use. By the end of World War II, 90,000 WLA army-version motorcycles had been built and shipped. Harley Davidson earned the coveted Navy "E" award for it's contribution. 1948: After the war, motorcyclists were eager to get back to their sport. To feed their desire for more motorcycles, Harley-Davidson introduced a new 74 cu in. engine with hydraulic valve lifters and aluminum heads. 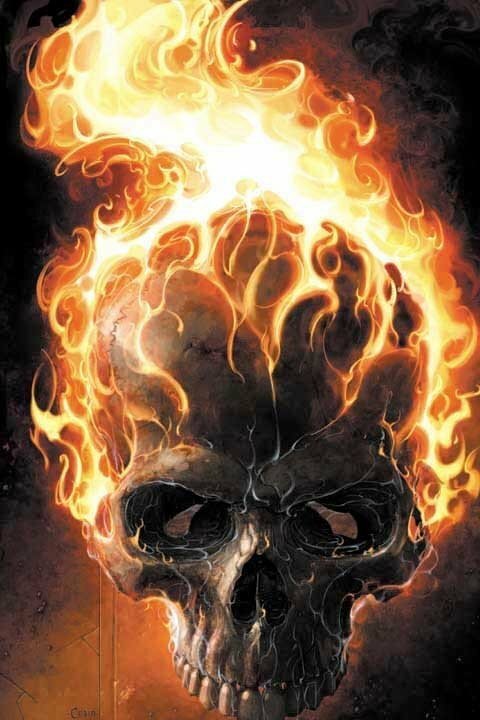 The "Panhead" was born. 1948 production: 31,163 motorcycles. Further expansion was in the cards and manufacturing facilities in the suburb of Wauwatosa were acquired in 1947. The push was on to sell to the public and marketing was more pronounced. 1953: As Harley-Davidson celebrated its 50th anniversary, its oldest and closest competitor, Indian, went out of business, leaving Harley-Davidson as the sole survivor in a once overcrowded American motorcycle marketplace. 1953 production: 14,050 motorcycles. The 1940s and 50s brought changes for Harley-Davidson. The second generation of management rose through the corporate ranks as the original founders died. Harley-Davidson now was the undisputed "king of the road". But the company did not rest on its laurels. 1957-1958: The Sportster, father of the superbikes, was introduced in 1957, followed in 1958 by the Duo Glide, featuring a hydraulic rear shock suspension to go with the hydraulically dampened front fork. Also in 1958, Carroll Resweber won the first of four consecutive AMA Grand National Championships. Also introduced for the aspiring motorcyclist was the 125 as seen in this ad from the 50's. New marketing and new models were broadening Hareley's coverage of the motorcycling public. 1963: When it became apparent that fiberglass was becoming a versatile material for golf cars and motorcycles, Harley-Davidson purchased and converted a fiberglass boat company in Tomahawk, Wis.The 1950s and 60s also saw the explosion of the American "motorcycle culture", with black leather jackets becoming not only a statement of fashion, but of a lifestyle. The tough "Wild Ones" image, made popular by the Marlon Brando movie of the same name, labeled motorcycle enthusiasts as "outlaws". In truth the phenomenen started in the late 40's with returning servicemen who had backpay and a yearn to see the country while trying to deal with the pain and horror of war. 1963 Willie G. Davidson joined Harley-Davidson as design director. 1965: George Roeder set a world land speed record of 177.225 mph for 250CC motorcycles on a modified Harley-Davidson Sprint. Bart Markel, aboard a Harley, won the second of his three AMA Grand National Championships. Harley-Davidson ended family ownership with a public stock offering and then, in 1969, merged with the American Machine and Foundry Company (AMF), which was chaired by Rodney C. Gott, a Harley enthusiast. He may have been an "enthusiast" but ole Rodney led Harley into what many deemed as Harleys darkest years. With the addition of an electric starter, the Duo Glide became the Electra Glide in 1965, which was also the last year of the "Panhead" engine. 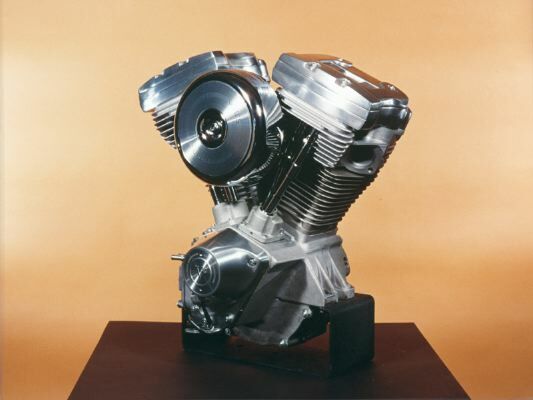 The "Shovelhead" engine took over the V-Twin mantle in 1966. 1966 production: 36,310 motorcycles. 1971: Joe Smith, riding a drag bike powered by a single Harley-Davidson motor, was the first to break the nine-second barrier in motorcycle drag racing. 1971 also marked the introduction of the Super Glide, considered the first true factory custom. The financial strength and resources of AMF aided Harley-Davidsons growth as it entered the 1970s. To meet the demands of an expanding market, the company moved its motorcycle assembly to York, Pennsylvania, in 1974, maintaining its engine manufacturing facility in Milwaukee. At the time of the merger with AMF, Harley-Davidson was producing 14,000 motorcycles per year. Beginning in 1969 and on into the 1970s, huge numbers of low-priced motorcycles were imported from Japan, dramatically reducing Harley-Davidsons market share. The ferocious competition coupled with motorcycle quality problems, which surfaced as a result of the companys rapidly expanding production, created major problems for Harley-Davidson. 1974  1975: To help meet the demand of a booming motorcycle marketplace, chassis manufacturing and final assembly operations moved to a plant in York, Pa. Engine and transmission operations remained in Milwaukee, along with the corporate headquarters. 1975 production: 75,403 motorcycles. 1980: Harley-Davidson debuts the FLT with its vibration dampening, rubber-isolated drive train and unique trailing front fork. The FLT also debuts an engine and five-speed transmission that are hard bolted together. A Kevlar belt replaces the chain as the final drive. The belt is cleaner running, and needs less adjustments and maintenance. It isn't long before belt final drive is standard on all Harley-Davidson® motorcycles. 1981: On February 26, thirteen Harley-Davidson senior executives sign a letter of intent to purchase Harley-Davidson Motor Company from AMF. By mid-June, the buyback is official, and the phrase "The Eagle Soars Alone" becomes a rallying cry. 1982: More innovations demonstrate a new commitment to quality, such as the FXR/FXRS Super Glide® II with its rubber-isolated, five-speed powertrain and the welded and stamped frame for the new Sportster® models. 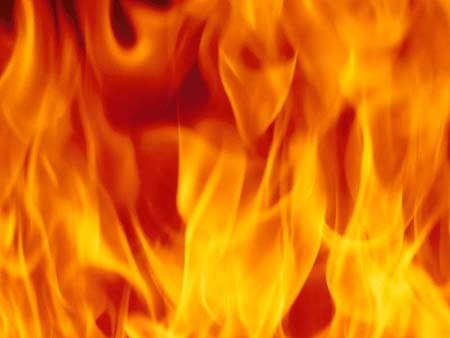 The Materials As Needed (MAN) application is introduced to production. Generally, this means that parts and raw materials are purchased and built only as they are required. This dramatically lowers production costs and improves quality. 1983: Harley-Davidson successfully petitions the International Trade Commission (ITC) for tariff relief, which is granted April 1, 1983. The tariff, scheduled to end five years later, is placed on all imported Japanese motorcycles 700cc or larger as a response to Japanese motorcycle manufacturers stockpiling inventories of unsold motorcycles in the United States. One of Harley-Davidson's most unique endeavors begins: Harley Owners Group®. Fondly referred to as H.O.G.®, the Group immediately becomes the largest factory-sponsored motorcycle club in the world. Within six years, H.O.G. membership soars to more than 90,000. By the year 2000, it exceeds 500,000 members. 1986: Harley-Davidson unveils the 1340cc V²® Evolution® engine on five models including the all-new Softail®. The result of seven years of development, the Evolution engine produces more power at every speed, runs cooler, cleaner and is oil-tight. Also witnessed is the debut of the Softail design and its trend-setting method of "hiding" the motorcycle's rear shock absorbers. In another bold styling and engineering move, Harley-Davidson releases the Heritage Softail®. The Motor Company is listed on the American Stock Exchange, the first time Harley-Davidson is publicly traded since 1969, the year of the AMF merger. 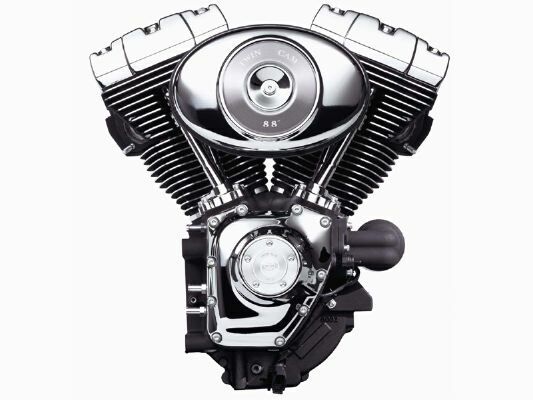 The Sportster® motorcycle line receives the Evolution V-twin engine. 1987: Harley-Davidson is listed on the New York Stock Exchange. Harley-Davidson makes both business and American history. H-D petitions the International Trade Commission for early termination of the five-year tariffs on heavyweight motorcycles. In effect, the move demonstrated confidence in H-D's ability to compete in the marketplace. Harley-Davidson begins the "Buy Back Program," for the XLH 883 Sportster, which offers full trade-in value within two years on either a model FL or FX. 1988: The springer front end returns in the FXSTS Springer® Softail®. Also introduced is the Sportster 1200. Harley-Davidson celebrates its 85th Anniversary with a Homecoming in Milwaukee, attended by over 60,000 enthusiasts. 1990: Upon its introduction, the FLSTF Fat Boy® almost instantaneously becomes a modern legend of motorcycle design. 1991: Harley-Davidson buys a minority interest in the Buell Motorcycle Company. Erik Buell created the Company to manufacture American sport motorcycles using Harley-Davidson® XL 883 engines. 1993: Harley-Davidson celebrates its 90th Anniversary in Milwaukee with a Family Reunion. An estimated 100,000 people ride in a parade of motorcycles. 1995: The classically-styled FLHR Road King® is introduced. The 30th Anniversary Ultra Classic® Electra Glide® becomes the first production Harley-Davidson motorcycle to include sequential port electronic fuel injection. 1996: A new, state-of-the-art Parts and Accessories Distribution Center opens in Franklin, Wis. By the beginning of 1997, all inventory is moved from the original warehouse at Juneau Avenue to the new 250,000-sq.-ft. facility. 1997: Harley-Davidson celebrates its 95th Anniversary. 140,000 plus riders are warmly received by Milwaukee to help with the celebration. A new assembly facility opens in Manaus, Brazil, the first operations outside of the U.S. Harley-Davidson buys a remaining 49% interest in Buell Motorcycle Company. Erik Buell is named Chairman of Buell operations. 1998: Powertrain Operations at Capitol Drive expanded its capacity by moving FL engine and transmission production to a newly purchased plant located in Menomonee Falls. XL engines and transmissions, as well as Genuine Parts Manufacturing, remain at Capitol Drive. A new 330,000-sq.-ft. plant in Kansas City produces its first Sportster. 1999: All 1999 model year big twins receive the new Twin Cam 88 engine. Buell introduces the Blast, a single-cylinder motorcycle. The Blast receives excellent reviews. It's introduced in tandem with the Rider's Edge(SM) Academy of Motorcycling, a beginner's rider course available through Harley-Davidson and Buell dealerships. 2000: The FXSTD Softail® Deuce is introduced to the immediate delight of riders and the motorcycle media. The 2000 model year Softail® and Dyna models are outfitted with the Twin Cam 88B engine, a counter-balanced version of the Twin Cam 88. Fuel injection is unveiled as a feature new to the Softail line of motorcycles for the 2001 model year. 2001: The VRSCA V-Rod is introduced for the 2002 model year. Inspired by the VR-1000 racing motorcycle, the V-Rod is Harley-Davidson's first motorcycle to combine fuel injection, overhead cams and liquid cooling, and delivers 115 horsepower. Harley-Davidson announces expansions at the Product Development Center (Milwaukee), as well as Tomahawk, WI and York, PA facilities. 2003: marks the 100th Anniversary of Harley-Davidson. All models produced as model year 2003 bikes are specially designated to celebrate this milestone.